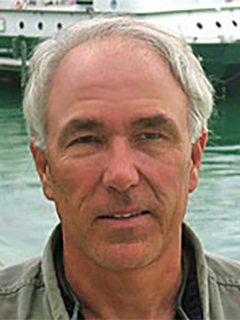 Dr. Johns is a seagoing oceanographer specializing in the use of long-term moored instrumentation to study ocean circulation. His research involves studies of the large-scale wind-driven circulation, with emphasis on the dynamics of western boundary currents, and on deep flows related to the global thermohaline circulation and climate variability. Dr. Johns also studies the dynamics of straits and the exchange processes between the oceans and marginal seas, including marginal sea overflows. Research programs are currently underway in several regions of the Atlantic Ocean, including the 26.5degN RAPID/MOCHA program east of the Bahamas and the OSNAP program in the subpolar North Atlantic. Areas of previous active research include the Caribbean Sea and tropical Atlantic, and the Red Sea, Persian Gulf, and Gulf of Aden in the western Indian Ocean. Johns received his B.S. in Physics from Florida State University in 1978 and his Ph.D. in physical oceanography from the University of Rhode Island in 1984. He joined the Rosenstiel School as a pot-doc in 1985 followed by appointments to the research faculty in 1986 and tenured faculty in 1992. In addition to his research and seagoing activities, Dr. Johns teaches graduate courses including "Large Scale Ocean Circulation: Observations and Models" (MPO712).